The staff here at Sports Media Journal (me) needs to recharge its batteries from time to time. Now is one of those times. 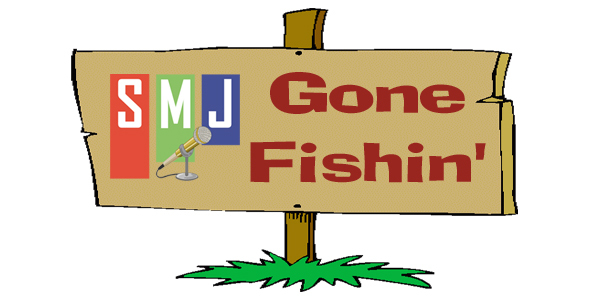 I will be away from the site for a little over a week. We will we will be back, all tanned and rested (well, hopefully rested), on April 23rd. Thanks for your continued support of SMJ! Posted in The Rest and tagged Sports Media Journal on April 12, 2012 by keithsmj. Sports Media Journal has expanded its social media reach by now having a brand page on Google+. I have been using my personal Google+ page to promote what we do here at SMJ. But now all our posts will be linked to the new Google+ SMJ page. If you’d still like to follow me on my personal Google+ page, please do so. But know that I will be posting more than just news from and about SMJ. If you are on Google+ add us to one of your circles today. In the second video from the Blogs with Balls 4 conference I am joined by my podcast partner Ken Fang of Fang’s Bites. I had the opportunity to attend the Blogs with Balls 4 conference this past Saturday in New York City. I’ll have a complete wrap-up of the event during tonight’s Sports Media Weekly Podcast with Ken Fang of Fang’s Bites. I also had a chance to conduct a few interviews with some of those at the conference. Here is the first one…a talk with Chris Lucas of HHR Media, the organizers of the event..